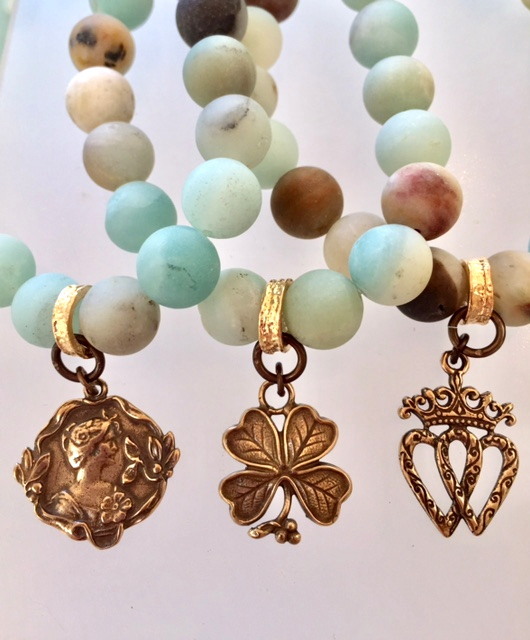 We are pleased to offer this genuine Amazonite Stone bracelet with a CHOICE of Romantic charms. From left to right; an Art Nouveau woman, a Good Luck 4 Leaf Clover, and lastly a Scottish Good luck charm called a Luckenbooth. Please specify charm when ordering, if no selection is made we will send the Luckenbooth.